Three in four physicians favor a new federal policy that allows states to require applicants to work or seek a job in order to obtain Medicaid benefits despite opposition from professional associations that represent them, according to a survey by Merritt Hawkins, the nation’s leading physician search firm and a company of AMN Healthcare. The single-question survey asked physicians what their position is on the new Medicaid work requirements policy. Over half (56.6 percent) said they feel very favorably about the policy, while 17.8 percent indicated they feel somewhat favorably. By contrast, only 9.2 percent of physicians said they feel very unfavorably toward the policy while 8.4 percent said they feel somewhat unfavorably. The remaining 8 percent were neutral. Three states, including Kentucky, Indiana and Arkansas, are proceeding with the work requirements policy as of March. 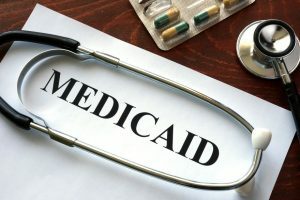 In Kentucky, able-bodied Medicaid applicants 19-64 years old will be required to put in 80 hours of community engagement a month to qualify for Medicaid benefits, working, going to school, training for a job, or volunteering. The policy in Indiana and Arkansas has similar requirements. The survey was conducted by email in early March and was completed by 667 physicians. According to experts in statistical response analysis at the University of Tennessee, the survey has a margin of error (MOE) of <1.0 percent. The idea is also opposed by most Democrats in Congress.